It's no secret I have a soft spot for children's books, especially ones with a grown-up spin. 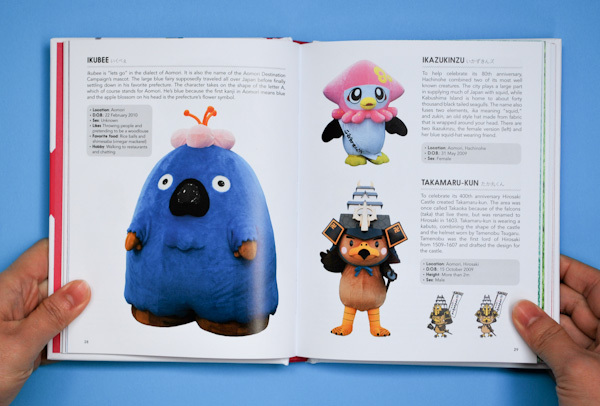 So I love Fuzz & Fur: Japan's Costumed Characters—a quirky compendium of Japanese fur-suit mascots by Tokyo-based designer and illustrator duo Edward and John Harrison. The costumes, known as kigurumi in Japan, have been used to promote anything from bridges and castles to water purification plants to the police to, most notably, prefectures. 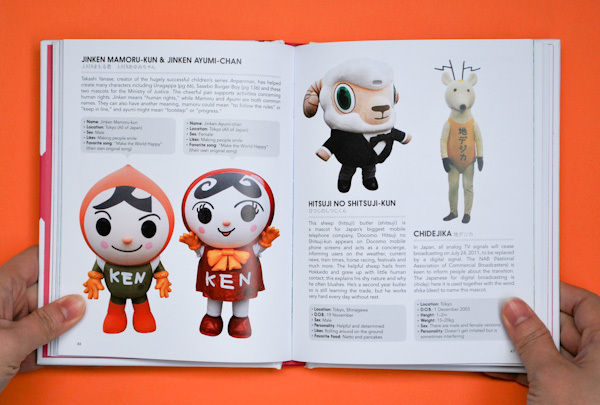 Illustrator Jun Miura eventually coined a new word, Yuru-kyara, to classify this new breed of characters—from Yuru, which means "loose" or "weak," and kyara, the word for "character," to describe the mascots as somewhat imperfect or non-serious, an eerie intersection of the age-old Japanese love of anime and contemporary marketing tactics. 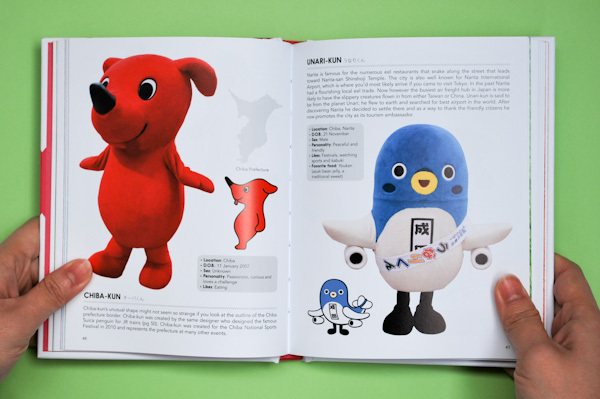 Fuzz & Fur features photographs of over 100 kigurumi, each profiled with text that explains the mascot's origins, its likes and dislikes, and its unique personality. A kigurumi into kigurumi, this green bear loves to collect hats. Each one reflects one of Nagano's many specialities, his collection includes a chestnut, persimmon, mushroom, lettuce, soba and wine. 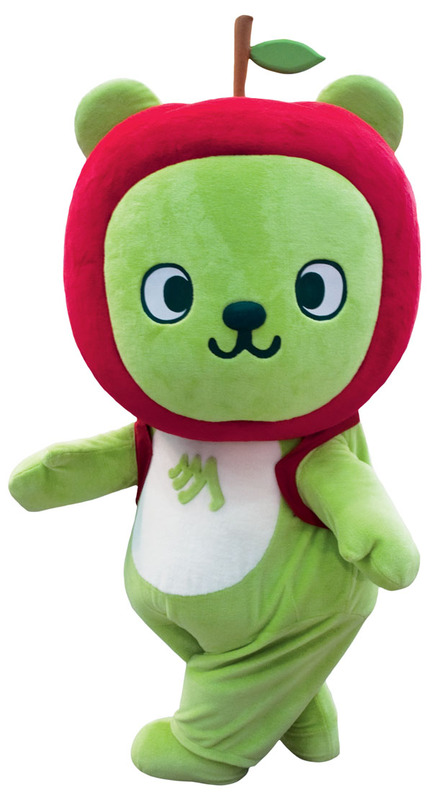 Arukuma, quite possibly the cutest kigurumi is the mascot for East Japan Railway and wants tourists to explore the beautiful outdoors of Nagano. His name combines the words 'aruku' ('walk') and 'kuma' ('bear'). 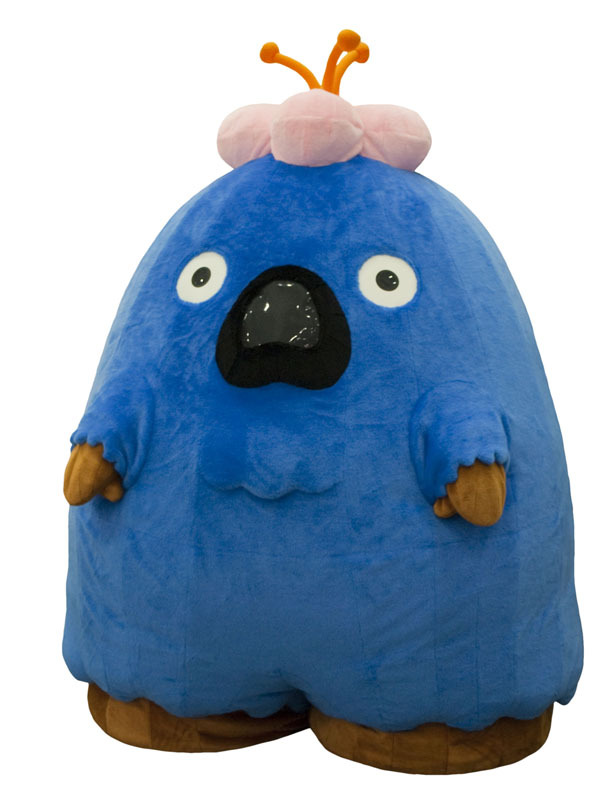 The mascot for Hikone Castle is probably the most famous yuru-kyara EVER. People travel to the castle not to see the beautiful grounds or explore the castle, but to meet the samurai cat Hikonyan, who visits the castle four times a week. His name combines Hikone and nyan, the Japanese onomatopoeia for a cat's meow. 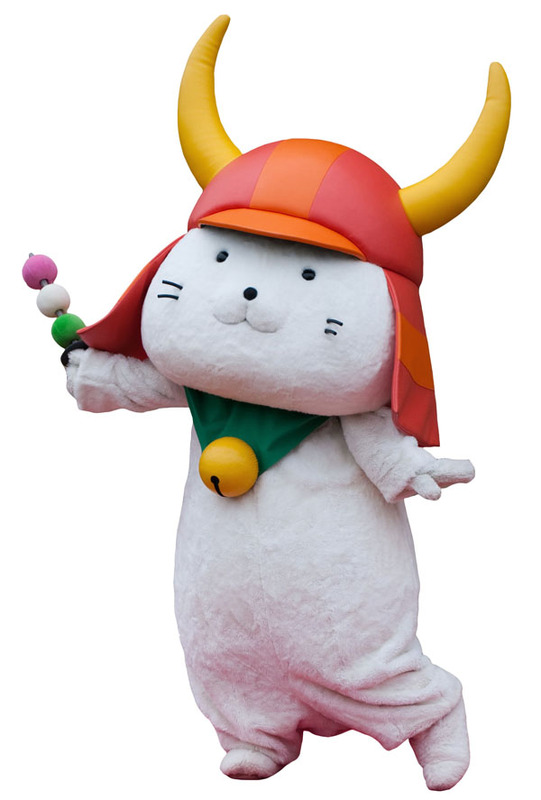 The cute cat wears a 'kabuto' (samurai helmet) with huge horns similar to the one Ii Naokatsu wore in battle. Ii Naokatsu was a Japanese daimyo during the Edo period who completed the construction of the castle and also said to have escaped being struck by lightning thanks to a beckoning cat. 'Ikubee' is 'let's go' in the dialect of Aomori and the name of The Aomori Destination Campaign's mascot. 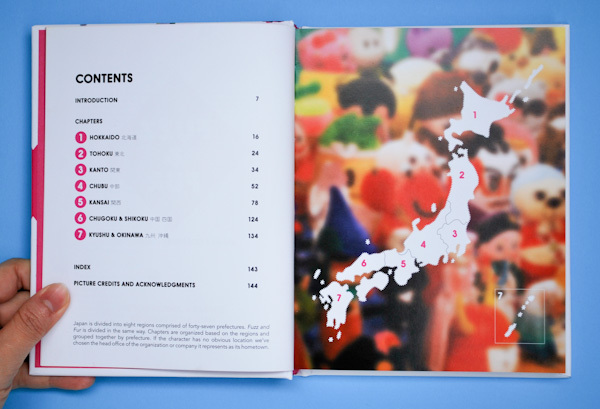 The large blue fairy supposedly travelled all over Japan before finally settling down in his favorite prefecture. He's modelled on the letter 'A' which of course stands for Aomori. He's the colour blue because the first kanji in Aomori means blue and on his head is an apple blossom illustrating the flower symbol of the prefecture. After WWII the American Navy took over parts of the base in Sasebo, Nagasaki. Soon after, enterprising Sasebo citizens started making and selling burgers to cater to the appetites of the American sailors stationed there. With its long tradition of homemade burgers Sasebo has become famous all over Japan. Takashi Yanase the king of characters famed for creating Anpanman designed the mascot. Even the ski resorts in Japan get in on the kigurumi action. 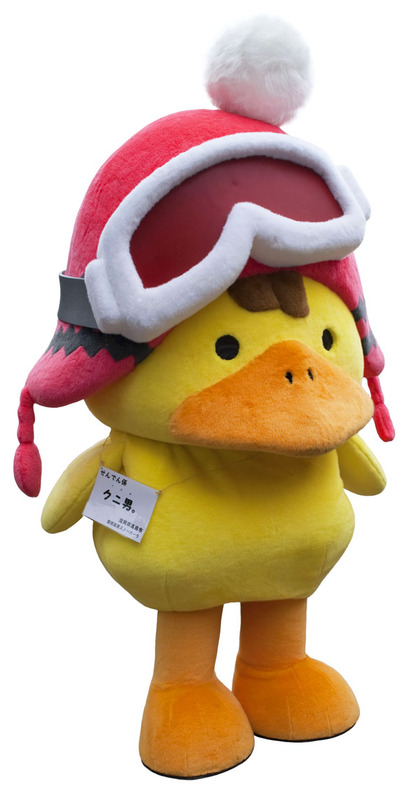 Kunio a seasoned skier is the mascot for Kunizakai Kougen snow park a resort in Takashima, Shiga. 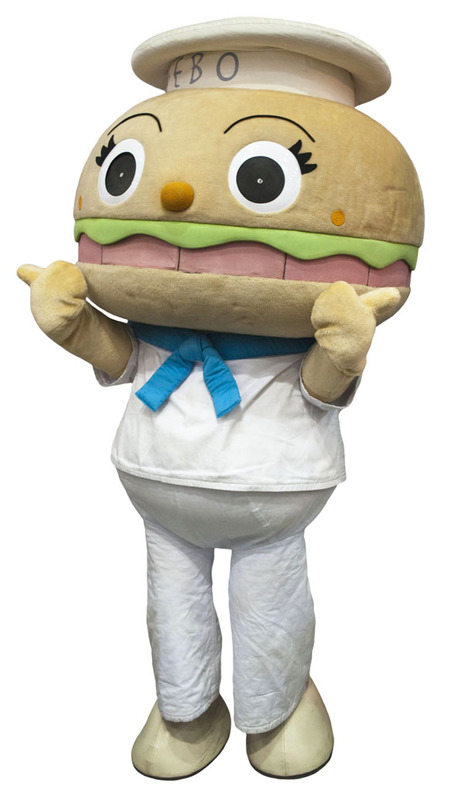 Kunio started working in one of the restaurants but was quickly promoted to become the mascot for the resort. His interests include, snowboarding, ice cream and girls (in that order). Fuzz & Fur comes from—naturally—my friends at Mark Batty Publisher and does for kigurumi what Drainspotting did for Japan's peculiar culture of storm drain graffiti.